Darth Vader is a busy Sith. He doesn’t have the time to collect his own snacks, so you probably won’t catch him taking a break from his busy schedule to go trick or treating. Also, he has trouble eating most candy when he’s wearing that mask. That’s why he needs a little bit of help from your child! Your child can gather up the motherlode of candy for his favorite Star Wars villain! 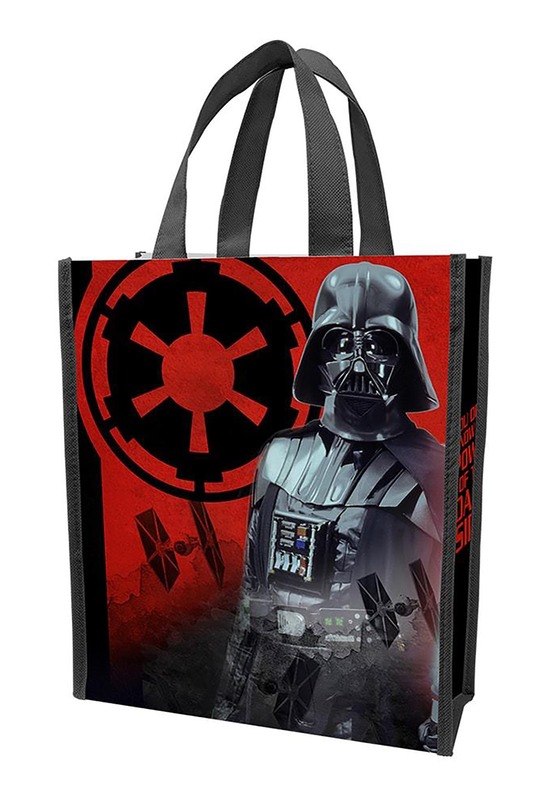 All your child needs is a Darth Vader costume, to let everyone know that he’s an official representative of the real Darth Vader, and a bag designed for collecting treats for the Sith Lord. This Star Wars Darth Vader tote bag is an officially licensed shopper bag that makes for the perfect trick or treating bag. It has a black and red color scheme and it has TIE Fighters and the Imperial symbol on the side. It also has a massive image of Darth Vader on the side to help intimidate your neighbors into giving extra candy to your little one! It has plenty of space inside for candy inside, ensuring that your child will be able to carry a decent sized haul this year! 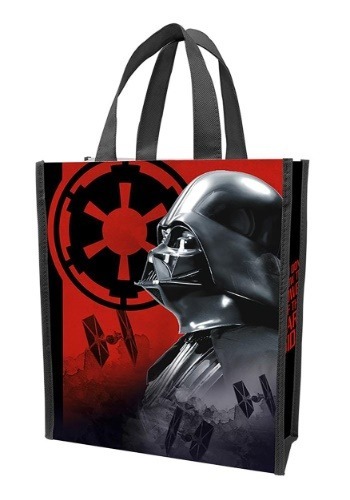 Your child can be an official representative of Darth Vader when your child heads out with this bag for a round of trick or treating this year!